The Perfect Way to Increase Focus + Create A Calm Classroom! Imagine beginning or ending each school day in a peaceful way by allowing time for students to settle and become focused. When students have the opportunity to practice stillness and reflection, it actually increases their ability to retain more of what they learn. Both students and staff feel an increased sense of calmness after taking a few minutes to relax. We recognize that most educators believe in the power educating the whole child, but it can be challenging to find K-12 activities that are simple to learn and easy to teach. Look no further for short K-12 school appropriate audio relaxations. 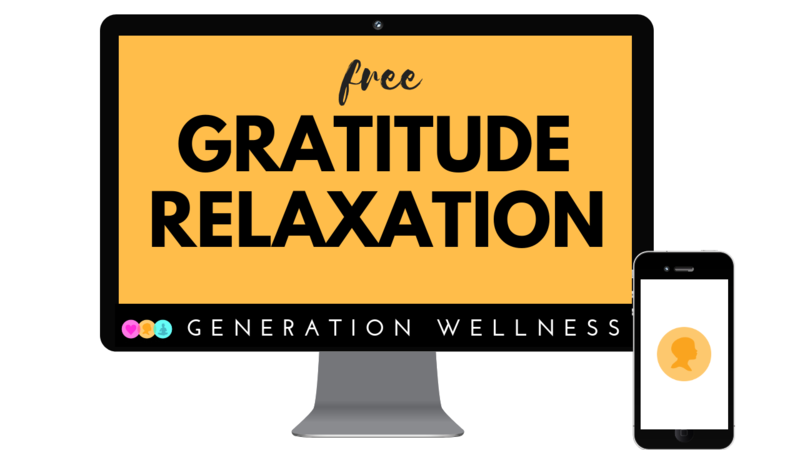 Download this Gratitude Relaxation now! Skip the time searching for appropriate relaxations and get access to those designed specifically for K-12 students. Interested in more K-12 Audio Relaxations? Check out the Online Toolkit, where all 100+ activity videos, Success Sheets and audio relaxations are found in one place. SEL made simple! These audio relaxations blend mindful practices with the latest research in positive psychology, intentionally teaching peace, while also wiring the brain for positivity.